Free State Stars will look to bounce back from a heavy Absa Premiership defeat when they host Chippa United at Goble Park Stadium in Bethlehem on Saturday evening. Stars were on the wrong end of a 5-0 score line when they faced Cape Town City last time out. It was a fifth defeat from their last six league matches. The Free State side’s last scheduled match (at home to Polokwane City on 2 February) was postponed. Ea Lla Koto have claimed 11 points from nine home matches this season, with their last result as hosts a 2-1 loss to Bidvest Wits in early January. Chippa have picked up four points from their last two matches, with their most recent outing a 1-1 draw away to fellow relegation battlers Baroka FC earlier this month. The Chilli Boys have claimed just five points from 10 away matches this season. The Eastern Cape side has yet to pick up a win on the road in 2018-19. When the teams met earlier this season, at Nelson Mandela Bay Stadium in early October 2018, Chippa claimed a 1-0 win at home thanks to a second-half strike from Ruzaigh Gamildien. It extended the Chilli Boys’ unbeaten run in the rivalry to six league matches. 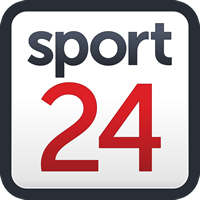 Chippa United: Mzimela, Macheke, Nsabiyumva, Shitolo, Tlolane, Rakhale, Malepe (Malama 67’), Komane, Mbenyane (Gamildien 65’), Lentjies, R. Manzini (L. Manzini 81’). Free State Stars: Sangare, Mobbie, Mahamutsa, Mbhele, Phungwayo, Jappie (Maruping 70’), Makhaula, Mokhuoane, Dlamini (Jantjie 64’), Tchilimbou (Rodgers 75’), Hlubi. “I told my players, they lost 2-0 and I lost 5-0,” Kavazovic said following his side’s heavy defeat away to Cape Town City. “I’ve done a simple calculation, that when I took over, there were 13 games left. I targeted that in every three games we should get five points. We want to get 35 points, which means you are knocking on the top eight,” said Larsen. “We will take it one game at a time. We already got four points from two games. Harris Tchilimbou: Tchilimbou is Ea Lla Koto’s top scorer this season, and Kavazovic will be counting on the Congolese attacker to come up with the goods on home soil this weekend as Stars’ aim to get one over their fellow relegation rivals. Two of his four goals this season came in home wins. Rooi Mahamutsa: Alongside fellow experienced head Paulus Masehe - who was suspended for the club’s 5-0 drubbing in the Mother City - Mahamutsa will be key to restoring morale in Bethlehem. Having made history in the Nedbank Cup last season, the wheels are threatening to come off as the Free State club prepare for yet another relegation scrap. Rhulani Manzini: The man with one of the fiercest shots in the league looks a striker reborn under Larsen. If Chippa are to finally stringing together a decent unbeaten run in their attempt to climb the log standings, Manzini’s influence could prove pivotal as they now set their sights on downing another relegation rival. Frederic Nsabiyumva: The Burundi international has been rock solid at the back for Chippa of late, and Larsen’s ability to tighten up a leaky defence has been key to a run of decent results for the Chilli Boys. The burly centre-back has played an integral role in their turnaround in fortunes of late.